Bridgeview Marina and Resort: Offering pontoon boats rentals, cabins rentals that sleep up to 10, RV camping. The Bridgeview Marina and Resort’s signature restaurant, situated approximately 400 ft. from the water, has been completely renovated with stunning red cedar trim and a glassed-in wall offering a spectacular view of Lake Texoma. Guests can choose indoor seating or during pleasant weather they may elect to relax on the restaurant’s renovated patio area. 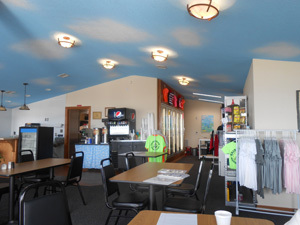 Click here for more information about the Restaurant at Bridgeview Marina & Resort. The restaurant is open seven days per week, year-round and features a full breakfast, lunch and dinner menu, with breakfast served all day long. Guests can look forward to classic, casual lake cuisine such as bacon, eggs and hash browns for breakfast, burgers and fries at lunch and fish, chicken and steak options at dinner. The ship store at Bridgeview Marina and Resort rents pontoon boats, tubes and all sorts of water toys, to add to your fun. The Resort also has four large cabins that can sleep up to 10 people are available for rent, and is building additional red cedar floating cottages to accommodate the needs of our guests. The Marina rents covered wet slips in a variety sizes to store your powerboat while you are away from the lake, providing the added convenience of having your boat available without having to tow in in each weekend. Bridgeview Marina and Resort features excellent facilities for large group activities, making it a perfect destination for family reunions, corporate picnics, weddings and anniversary celebrations. The stage area offers sound amplification and special lighting to accommodate your special needs. 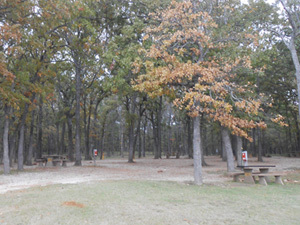 The beautifully maintained bluff area overlooking Lake Texoma provides a lovely setting for weddings. 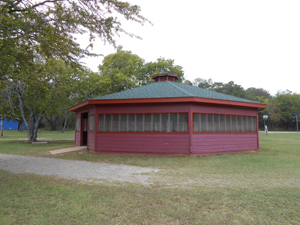 The resort’s screened-in octagon-shaped gazebo features 18 tables with convenient access to the recently renovated men’s and ladies’ restrooms and showers. 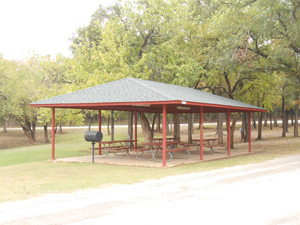 Nearby are recreational areas for both the kids and adults, including upgraded swing-sets and cement basketball courts. Bridgeview Marina and Resort is committed to making your event memorable. Make your reservations early to ensure you get the perfect location for your special day! Bridgeview Marina and Resort features four campgrounds designated with electric and water for RV camping. The facilities have been recently upgraded to include 50 amp electrical systems to accommodate the higher ratings demanded by newer motor homes.